My family has had a thing for pancakes for as long as I can remember. 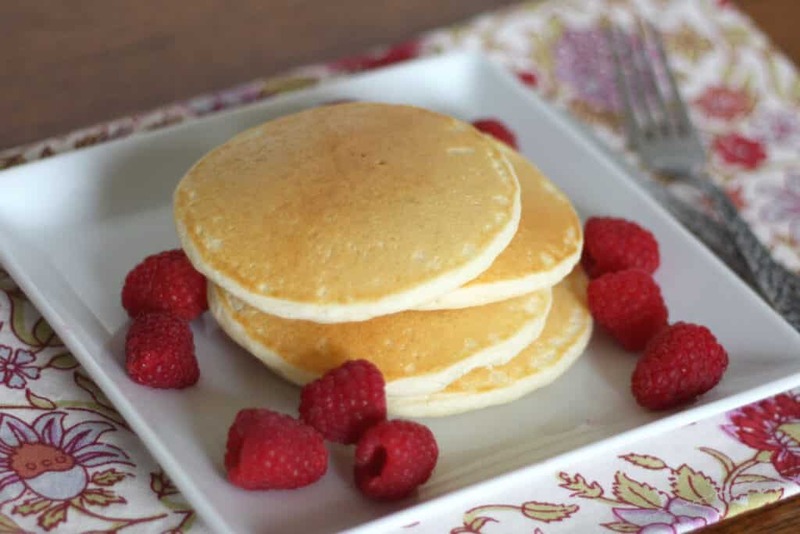 One of the very first recipes I posted on the blog was for our Favorite Fluffy Pancakes. 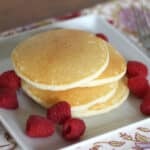 I waited a long time to post a gluten free pancake recipe, because I wanted to be able to tell you that I was truly happy with the gluten free recipe. I’m thrilled to tell you that these Gluten Free Pancakes are so light and fluffy, no one will guess they’re gluten free! My husband walked into the room and sampled a pancake the first time I made this recipe. When he used the words “phenomenal pancakes,”and I knew that I had a winner. From the light and fluffy texture to the barely sweetened flavor, every single thing about these pancakes is exactly how I want my pancakes. From the light and fluffy texture to the barely sweetened flavor, every single thing about these pancakes is exactly how I want my pancakes. Whisk together the dry ingredients and set aside. In a smaller bowl, lightly whisk the egg and then add the buttermilk. Add the wet to the dry ingredients, whisk for just a moment and then add the butter. 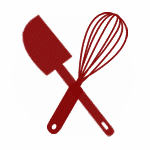 Whisk to combine and then let rest while the griddle or pan heats. Butter the pan or griddle if desired and then pour about 3 tablespoons (or a scant 1/4 cup) of batter onto the griddle for each pancake. Let cook until they begin to bubble on top and they are lightly browned on the bottom. Flip and cook second side just until golden brown. Serve warm with the toppings of your choice. Enjoy! in an airtight ziploc bag. 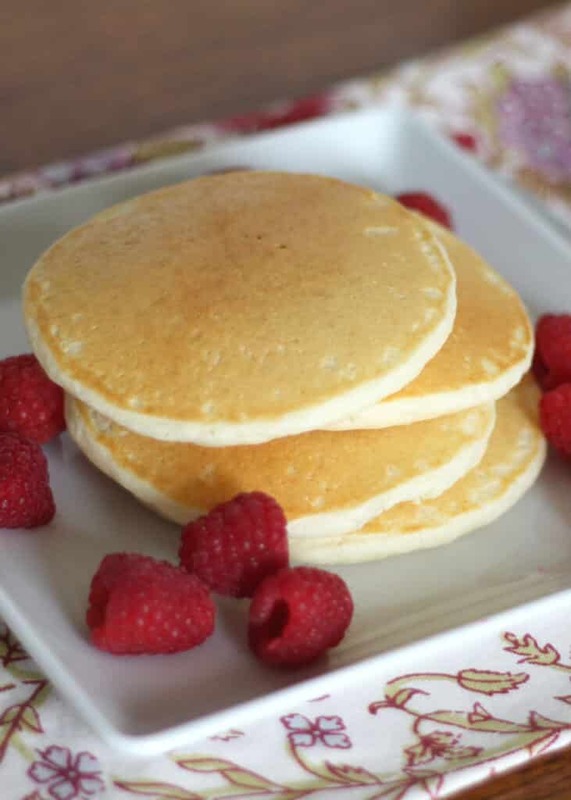 Reheat the frozen pancakes in the microwave. I made these today for my son's birthday breakfast. They tasted good but the batter was WAY too thin. I used lemon juice and soy milk as a substitute for the buttermilk. It did thicken and curdled but even so, the batter was super runny. I had to nearly double the flours. The taste was good but they still weren't fluffy and were rather thin. Maybe my baking powder wasn't fresh enough? I followed the recipe exactly otherwise, except that I didn't make tiny 3 tablespoon pancakes. Do they only work if you make them super small? Your pancakes make paste. Most recipes use more liquid to flour ratio, yours should too. These did not turn out well at all. I used GF Pillsbury mix, came out super thick, very rustic looking. Taste was OK though. Well, the recipe is written specifically for use with the flours and starches listed. I have no idea what would need to be adjusted to make these work with a pre-mixed blend of flours. They came out REALLY GOOD! I made slight alterations only because I didn't have certain things. I made my own buttermilk with whole milk and lemon. I used xylitol instead of sugar, and added more buttermilk and water to my batter ( it was too thick). Everyone luved it, thanks so much! So far this recipe makes the best gluten free pancakes I’ve had since going gluten free... 7 years ago! Thanks so much! Best gluten free pancakes out there!!! I make them dairy free by using almond and coconut milk in place of the dairy. Really nice texture and very easy to make. Definitely a new favorite. I'm allergic to eggs. Will it still be fluffy without eggs? Will it be just as good with Chia seed egg replacements? I've never tried it that way, so I honestly can't say.If you do try it with an egg replacement, please let us know how it works! Oooh, those are good! Do you think it would work to quadruple the dry ingredients and store it as an easy pancake mix for future use? I've never done that myself, but I don't see why it wouldn't work nicely. Enjoy! I was mixing the butter for 20 min and it was still chunky. Very good pancakes aside from the butter. Butter not needed. Hi Payton, these pancakes are fine without the butter as well as with it. That said, I don't understand how you could have mixed "melted butter" into the batter for 20 minutes. 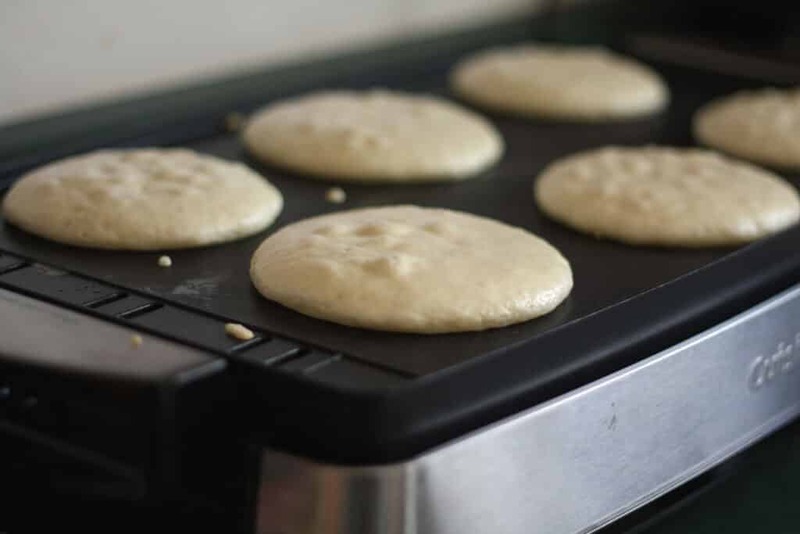 For what it's worth, pancake batter is not typically a smooth batter. Hopefully, the pancakes still turned out fine for you. I substituted coconut milk with lemon juice added for the buttermilk. The pancakes were fluffy and tasty. The flour to liquid ratio was fine. I think with any recipe containing flour there can be variations in the liquid absorption rate. These are THE best pancakes I have ever had-since going GF i have missed good pancakes-but now i can enjoy them again:) thank you!! This are light, tasty and so easy! Thank you!! I'm so glad that you like the pancakes, Sharon! Thanks for taking the time to tell me.